South Africa visa medicals are required for travellers planning to reside temporarily in South Africa. You can obtain your South Africa visa medical within 24 hours at either of our clinics. 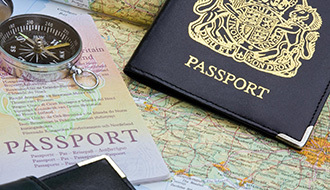 Our experienced doctors are registered with the Foreign and Commonwealth Office and can guarantee a convenient, efficient and discreet service respecting your needs. You will need to bring with you your original passport to prove your identity. Why should you choose our Walk-In clinics for your medical? In addition to years of experience in visa medicals, we promise you no hidden charges such as administration fees. Our doctor will assess your hearing and vision. They will also perform an overall examination and evaluate your medical history. A chest X-ray scan is also required. This will be arranged for you immediately after your appointment with the GP.